Where Will They Park Their Zeppelins? 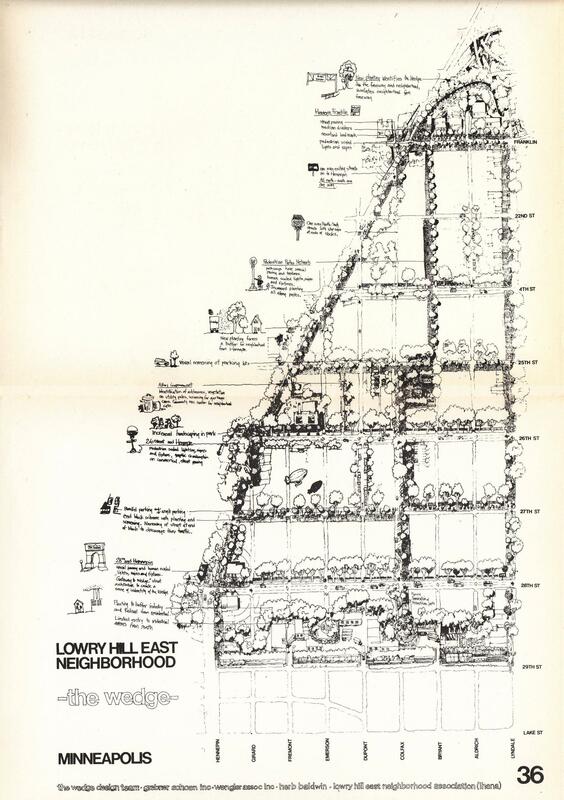 In 1976 LHENA got together with some architects and planners, and collaborated with them on something called the Wedge Design Framework Plan. 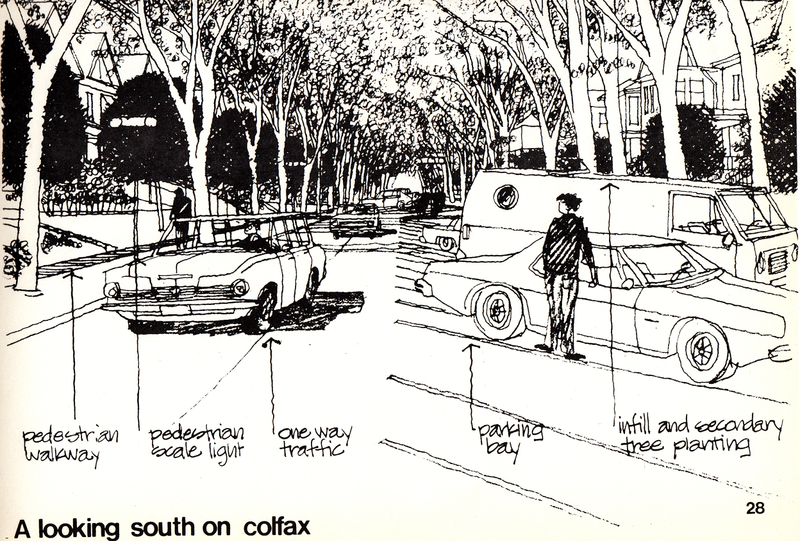 This proposal includes one-way conversions for all north-south streets; it would have turned Aldrich, Colfax, and Emerson Avenues into cul-de-sacs at 29th street. It’s also got diagonal parking (LHENA later disapproved this) and a rec center for cats (I don’t know what became of this). Bonus points if you can find the zeppelin. 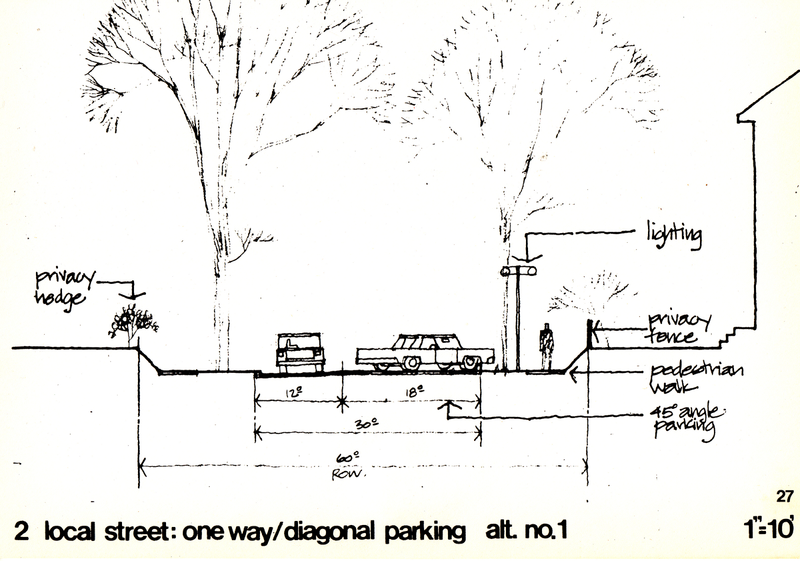 This is just a small part of the Wedge Design Framework Plan. It should be fodder for at least a few more posts–lots of cool maps. There are three pages on what color you should paint your house. LHENA was still citing it in 2004, during their campaign to downzone the neighborhood. Took me 10 minutes to decide this wasn’t a 70s slang term. 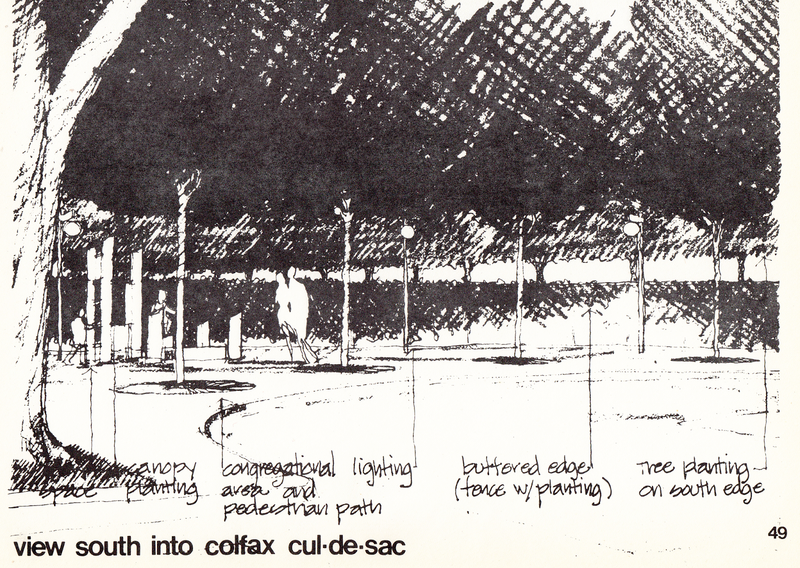 Cul-de-cacs were proposed for Aldrich, Colfax, and Emerson. Would you like a privacy fence or hedge with your cul-de-sac?